Stacking patio doors, or doors that fold away into a recess in your patio wall, are the latest rage in home renovation. The ability to turn full floor-to-ceiling glass walls invisible by tucking them completely out of the way can revolutionize your patio entertainment space, creating a smooth transition from indoor to outdoor. Here are three beautiful benefits of implementing such a modern design feature. 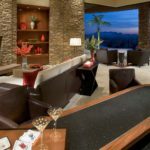 Seamless transition: Imagine throwing a party on your deck or patio: If you have sliding doors, you’ll have to drag the heavy glass back and forth each trip. When the night is over, the process must be repeated as the party retreats indoors. With stacking patio doors, all of that stress melts away. Not only is the physical work significantly lessened (since you can just use your nearby interior living room furniture as your patio furniture), but you actually gain natural light — with no window and door frames or walls to separate you from the glorious sun, you’ll be able to welcome the indoors outdoors, or vice versa. 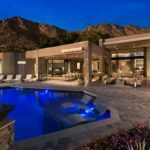 Great for Arizona heat: Arizona is famous for its dry heat: although able to reach very high temperatures during the daytime, the lack of humidity means that shaded areas are significantly cooler and much more comfortable. 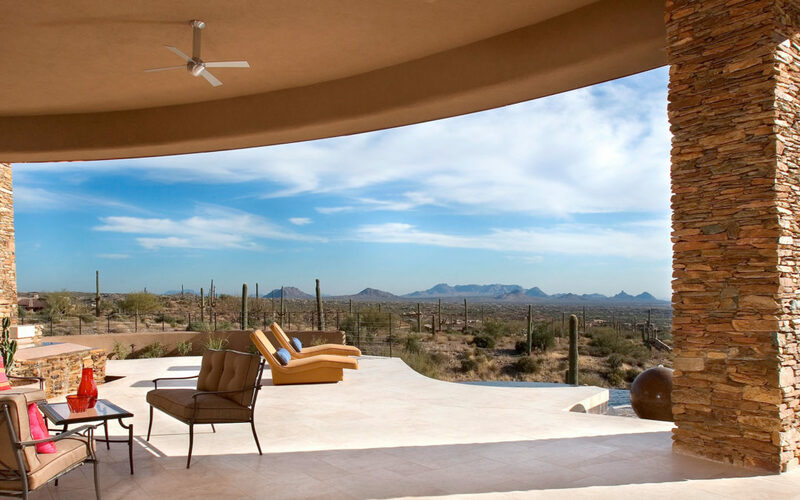 Stacking doors can ensure that you still have a roof over your head providing shade while also allowing you to benefit from the beautiful Arizonian weather — you no longer need to choose between oppressive heat and freezing air conditioning. Unhindered views: Arizona is as well-known for its landscapes as it is its heat. With expansive vistas displaying endless mountain ranges and flat, cacti-covered red plains, it would simply be a waste not to open your home up to its unique beauty. Stacking doors can merge your home with this natural environment, offering unspoiled views of the surrounding regions. You’ll no longer have screen windows and door frames when you install stacking patio doors in your house. Home design has never been so innovative. Decorating your home can now be as easy as decorating your patio, as stacking doors allow the two to become one. 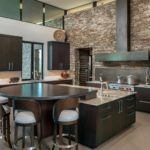 Specialized design trends such as this are expected to increase 20% over the next 10 years — don’t be left out; install stacking patio doors in your home today.